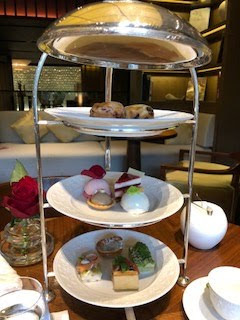 we went to the lobby lounge in the ritz carlton kyoto . aftenoon tea was very good. it takes about 10 minutes walk from NISHIYAMA RYOKAN to here.